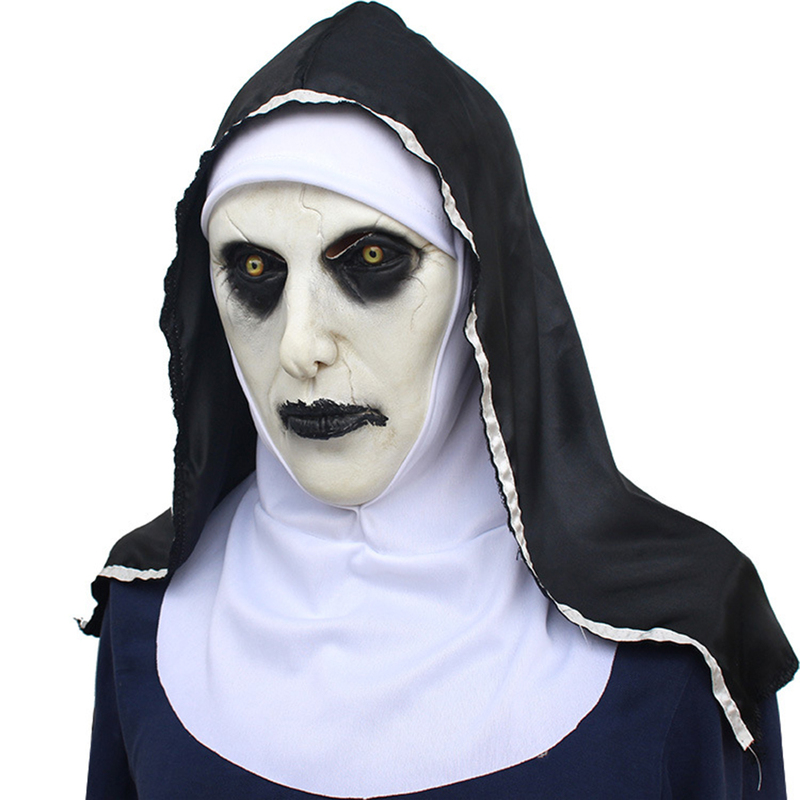 Successfully Added Halloween Scary Nun Mask Full Head Latex Headgear Cosplay Costume Accessory to your Shopping Cart. Comfortable to wear: free size, fits well with most people's heads. Special design: looks like a scary nun, creating a funny Halloween atmosphere. Occasions: nice accessory for Halloween party and other kinds of masquerades. Great gift: It is a nice gift for your family or friends. There might be a little smell at first due to the material, please put it in ventilated place for a few days, then the smell will disappear. Thanks for your understanding.